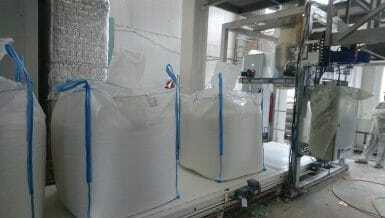 Filling bulk bags, or Flexible Intermediate Bulk Containers (FIBC), can be a dusty and unsafe process. 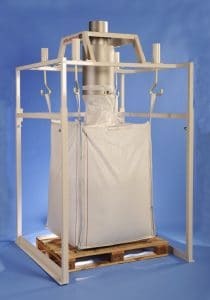 Bagstander bulk bag fillers from UniTrak are purpose-built to fill bulk bags accurately and safely. 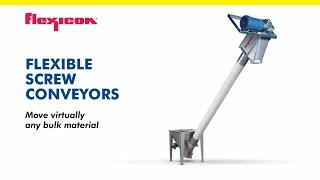 Designed with an adjustable framework that will straddle a pallet or optional platform scale with controller-enabled bulk bag weight control, Bagstander fillers are constructed with a fully welded frame made from carbon steel, with stainless steel construction available as an option. 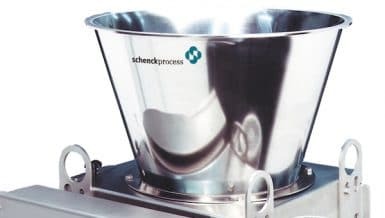 The ventilated collar is manufactured from stainless steel and fitted with removable dust sock which allows for direct connection to a dust control system. A fork-lift (FLT) option is also available which enables the filler to be easily moved to different locations. This option adds integrated fork-lift pockets, together with a solid bottom plate and cross braces for additional strength. 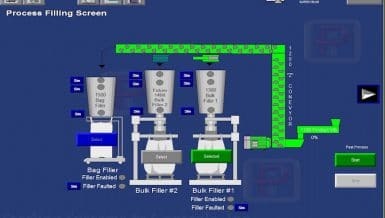 Built using the highest-quality materials and workmanship, Bagstander bulk bag fillers will provide years of trouble-free service. UniTrak manufactures conveyors and elevators for food and chemical processing companies.Our product line consists of TipTrak bucket elevators, Powderflight aeromechanical conveyors, UniFlex flexible screw conveyors and Bagstander bulk bag dischargers.